Users of online social networks (OSNs) share personal information with their peers. To manage the access to one’s personal information, each user is enabled to configure its privacy settings. However, even though users are able to customize the privacy of their homepages, their private information could still be compromised by an attacker by exploiting their own and their friends’ public profiles. 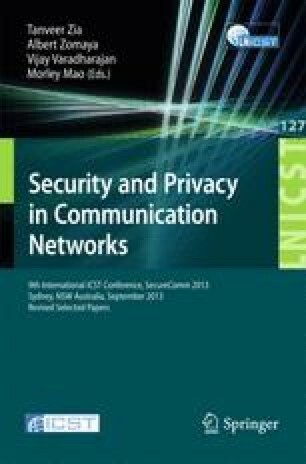 In this paper, we investigate the unintentional privacy disclosure of an OSN user even with the protection of privacy setting. We collect more than 300,000 Facebook users’ public information and assess their measurable privacy settings. Given only a user’s public information, we propose strategies to uncover the user’s private basic profile or connection information, respectively, and then quantify the possible privacy leakage by applying the proposed schemes to the real user data. We observe that although the majority of users configure their basic profiles or friend lists as private, their basic profiles can be inferred with high accuracy, and a significant portion of their friends can also be uncovered via their public information.